Efficient and accurate particle size analysis can be achieved with our range of high quality test sieves from Fisherbrand and Endecotts. Conforming to either American or European/British Standards, you can be assured to find a solution to your needs from our vast range. In addition to sieves, Endecotts also provide sieve shakers and other sampling equipment to assist in your particle size analysis requirements. Fisherbrand test sieves are made with quality and budget in mind. Fisherbrand have a wide range, including but not limited to American and European woven wire and perforated plate sieves, grain, grid, Air Jet, and many more. Endecotts test sieves are manufactured to the highest standard, offering a degree of accuracy second to none. Available in woven wire mesh, perforated plate, or a number of other specialised sieves, you will be able to find one to suit any budget and application. Sieve shakers from Endecotts have been ergonomically designed to suit the modern laboratory’s requirements. Different models are available depending on specific needs, as well as special software SIEVEWARE for evaluation of size analysis. Samples can be processed faster and with more ease using Endecott’s sample processing equipment. 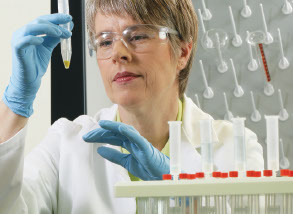 With a range of easy-to-use instruments, sample processing is optimised prior to analysis.